SDL Auctions is one of the UK’s most successful auction networks, with over 1,300 lots sold in 2016, meaning more than £150m was raised in sales for our vendors. Our property auctions in the North West have been a huge success so far, and the future can only get brighter. Manchester in particular is experiencing great economic growth, meaning it’s a fantastic time to invest in property in the area. Property auctions aren’t what they used to be either! Gone are the days of a murky room in the back of your local pub – nowadays, auctions are held in great, modern locations, such as the AJ Bell Stadium in Salford. The whole process only takes around 6 weeks, meaning it’s a great solution if you need to sell your property fast. Why is it so quick? There’s no chain involved which makes the process a faster alternative to selling through the traditional private treaty. There is also a very specific, intense marketing period for your property, normally taking place over the span of 4 weeks. Everything is finalised within about ten minutes of bidding on the auction day itself. We’re also able to sell your property at the best price possible. If your house has a certain character to it, or has qualities that makes it stand out in a crowd, auctions can be a fantastic way of making sure you achieve the best possible price for the property – especially when buyers try to battle it out! On the other hand, if your property has the potential to increase in value through renovation works or planning permission, it also has a great chance of performing very well at auction. This is because our auction catalogues are frequently sent out to developers, property dealers and investors who are in a key position to buy, and are specifically looking for properties they can add value to. Where are our Manchester property auctions held? 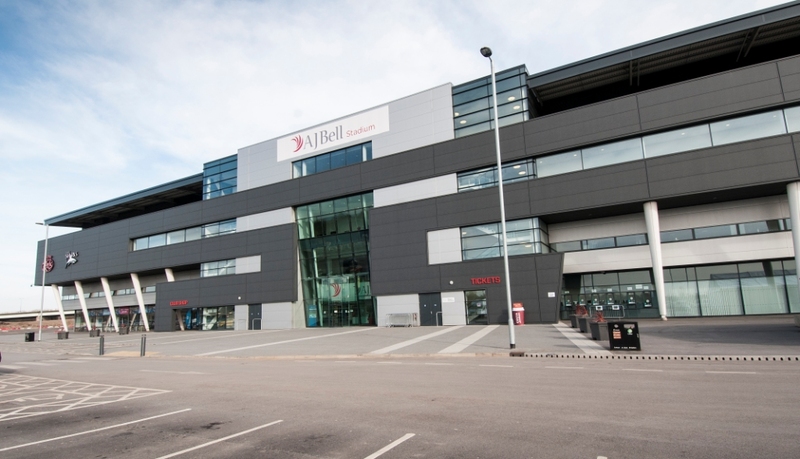 Our Manchester property auctions are held at the AJ Bell Stadium in Salford. Our auctions team is headed up by Andy Thompson, one of the region’s top valuers who has over 12 years of experience in property auctions in the area. Our auction catalogues feature a wide range of residential and commercial properties, along with building plots and development sites across Lancashire & Greater Manchester and further afield. If you have a North West property you would like us to sell at auction, get in touch today to arrange a free sales valuation – alternatively, give our friendly team a call on 0161 774 7333.